Round six against Willetton concluded on the weekend with Perth recording important wins in the top three grades. The highlight was unquestionably the magnificent eight wicket haul to Josh Nicholas in first grade, off 23 overs. 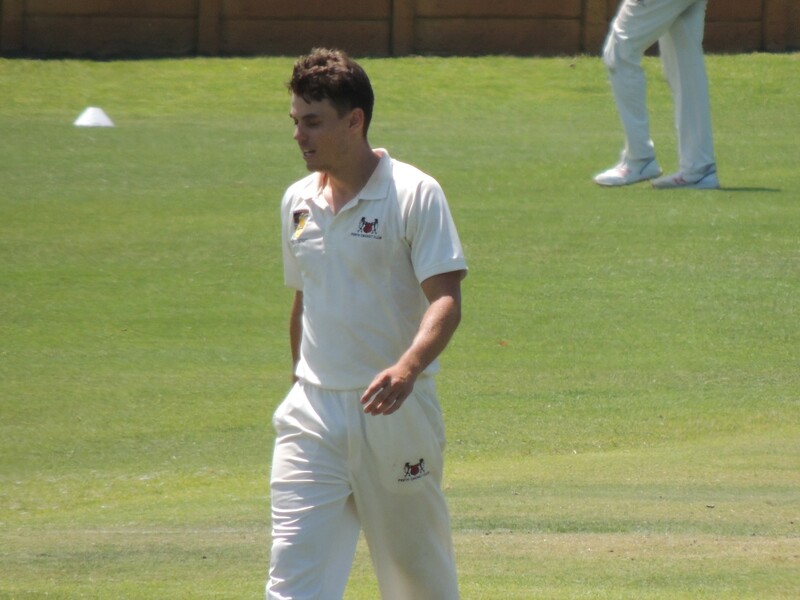 The competitions leading wicket taker, Josh passed 200 wickets in first grade for the club in taking eight wickets in an innings for the second time in his career. Some other fine performances on the weekend were by Jacob Snadden, Jake Van Galen and Brad Garland in the Seniors and a special mention to Ben Scotson who made 120* in the Under 15’s.